There’s nothing quite like having a piece of Paradise all to yourself after the crowds have left and gone back to shore for dinner. 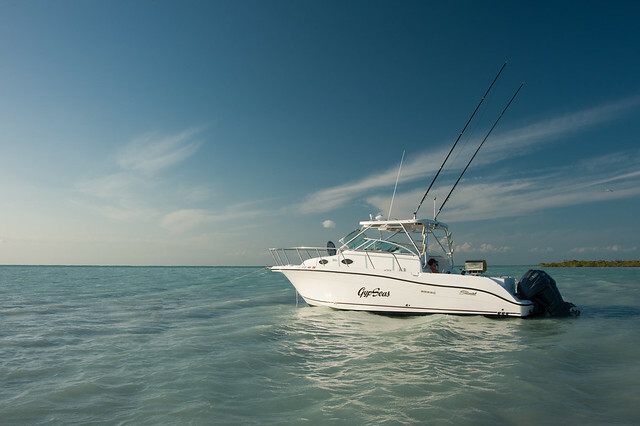 Lazy, lazy lounging with the boat playlist going – Zac Brown, Kenny Chesney, Jack Johnson, just no Jimmy Buffett! 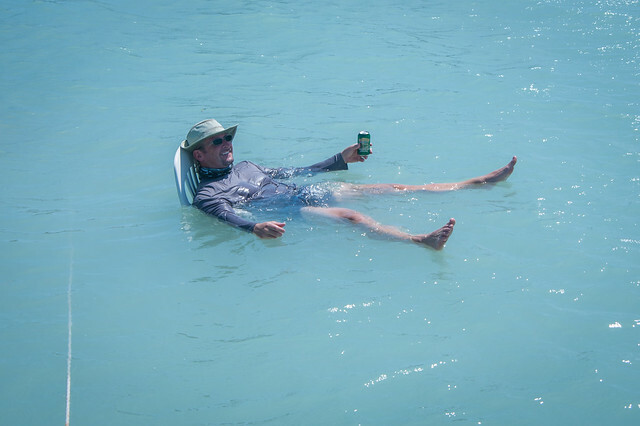 Nothing like floating at Nest Key in a plastic lawnchair with a Sierra Nevada Torpedo! Gypseas floating at Nest Key all by herself. One of the nice things about having a full cabin with double beds, a grill, and a full enclosure is that we often spend the night here on the hook by ourselves long after the day crowds have all gone back to Key Largo for dinner. Nothing like having paradise all to yourself!